Apple has officially announced iOS 11 at WWDC 2017. which brings improved productivity solutions for iPad, but other enhancements are coming to Messages, Apple Pay, and other apps. iOS 11 lets users take Portrait Mode images with optical image stabilization, with a flash, or in HDR. New Loop and Bounce effects can be applied to Live Photos, and Apple is using a High-Efficiency Image File Format (HEIF) to shrink the amount of storage that photos take up on your iPhone. 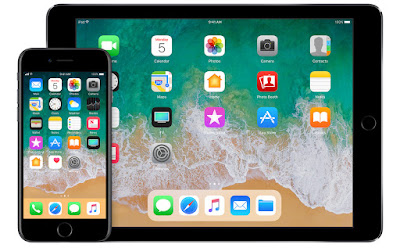 In iOS 11, Apple has completely redesigned Control Center, which is the panel that users can swipe up to access frequent and important settings or change songs when listening to music. The iPad is getting some special attention with iOS 11. Apple is making the iPad’s dock similar to the Mac’s by letting users add many more apps to it. A new drag-and-drop feature lets you quickly move info or media from one split-screen app into the one beside it. Yes, that’s pretty basic stuff — but it shows exactly why Apple needed to make these iPad improvements in the first place. They were overdue. Drag and drop can also be used with apps on your home screen or dock. iOS 11 can now preserve app pairings for iPad when you’re switching between apps. It’s basically the equivalent of the Mac’s Spaces feature — but now on iPad. This means you can keep two apps you commonly use together when switching to another app, and easily return to them without having to set up the split-screen view again. Apple will bring traditional file management — or at least something resembling it — to the iPad with iOS 11. A new Files app, leaked earlier on Monday morning, will give users a simple view of files on their device and also those stored with cloud services including iCloud, Dropbox, OneDrive, and more. Apple Maps is introducing indoor maps for airports and shopping centers in select cities. Mall layouts will be available for the following cities: Boston, Chicago, Hong Kong, London, Los Angeles, New York, Philadelphia, San Francisco, San Jose, Tokyo, and Washington, DC. Apple has indoor maps for well over 20 major airports as well, including both US and international locations. iOS 11 also adds new improvements to Maps when you’re behind the wheel of a car. Lane guidance and speed limits should help you navigate unfamiliar highways.More important is a new safety measure: Do Not Disturb While Driving will get rid of potential distractions when your eyes should be focused on the road. Text messages won’t be shown by default, though senders have the option of replying with “urgent” in cases when you really need to see something. The App Store is getting its biggest makeover ever in iOS 11. There’s a new “Today” tab that will surface notable releases, and Apple is finally giving the games section its own dedicated tab. There’s a much bigger editorial aspect to the store now, too, as users will find how-tos, “making of” stories, and other content that pertains to select apps. Other refinements include the ability for developers to directly list in-app purchases in the App Store — rather than making users hunt for them in the app. Apple Pay is also expanding to include person-to-person payments, positioning Apple to take on Venmo and Square Cash. iOS 11 will introduce a Apple Pay Cash Card, where users will store their received funds from peer-to-peer transactions. This money can be transferred to your personal bank account. Apple has made improvements to Siri that make the assistant’s voice sound more natural when responding to users. Additionally, Siri will now be able to perform translations from English to Chinese, French, German, Italian, or Spanish. iOS 11 is compatible with these devices.